With the imminent release of iOS 9 and the usual fast adoption rate, many developers can finally start using APIs introduced in iOS 8. One of these is UIAlertController, which unifies code for alerts, action sheets, and iPad popovers. So… can we write unit tests against a UIAlertController? Let’s learn some tricks for dealing with Cocoa Touch. You call the framework — but not really. Instead, substitute a test double in its place. Use the double to verify that the framework was called correctly. The framework calls you — but not really. Instead, have your test code call your production code directly, as if it were the framework. “Substitute a test double in its place” really means taking that dependency and making it so we can inject a double. As I explain in my objc.io article, there are various forms of dependency injection. I lean towards constructor injection because it makes the dependencies explicit. To substitute an Apple-provided class, I prefer property injection where a lazy getter provides the default class. At the expense of some ugliness, it makes the injectable points very clear. I try to avoid method swizzling, because you can no longer look at the calling code and clearly see injectable dependencies. By request, I took the swizzling all the way so that no changes are necessary in the calling code. Just create the UIAlertController the normal way, by invoking +alertControllerWithTitle:message:preferredStyle. Create UIAlertActions and add them to the controller. Have your view controller present the UIAlertController. No weird tricks here. So when does this same code interact with test doubles, instead of actually presenting an alert (which would block unit tests)? When a QCOMockAlertVerifier exists. The QCOMockAlertVerifier performs the required method swizzling when created. And it swizzles everything back when destroyed. Similar to C++ RAII, the very existence of the verifier performs Ambient Context dependency injection. So the production code doesn’t have to change. But how clear is the test code? Here’s a test that verifies the title of an alert. sut is the “system under test” in the test fixture. MockUIAlertController is available for UIAlertController tests. Using the same patterns, I also created MockUIAlertViewActionSheet for old-style code that uses UIAlertView and UIActionSheet. 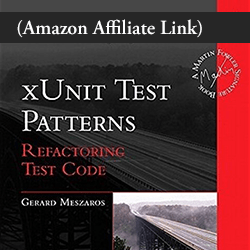 This replaces the library I originally shared in my older post How to Unit Test Your Alerts and Action Sheets. I hope you find these libraries useful. Beyond their testing functionality, the code illustrates how to control method swizzling in a RAII style through init/dealloc. More specifically, we can use the lifetime of a test helper to manage Ambient Context dependency injection. When have you used method swizzling for test purposes, and when have you avoided it? Leave a comment below. I don’t care so much about “units”. I just want fast, reliable feedback to support my TDD habit. 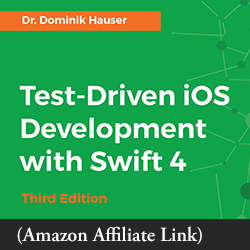 Previous Post My Interview about TDD on the iPhreaks Podcast Next Post What Benefits Are There in the New, Improved OCHamcrest? I always avoid swizzling, giving in only when I cannot find a better, or at least equal alternative. Really great article. Thanks for sharing! I’m with you, Ron: given a choice, I’d rather avoid swizzling. I’m sure I’m not the first person to use a controlling object to do so, but as I wrote the post, it was an a-ha moment to see a connection with my C++ past. My approach on this is another one that does not need any swizzling. I do not use the UIAlertController directly in the code. I have OBDialogBuilder class that is factory class that creates the dialog using the UIAlertController or UIActionSheet. I have two concrete implementations because I also need to support iOS 6 and 7 and I configure the injector to use the proper implementation depending on the OS version. I have also a - (void)pressButtonWithTitle:(NSString *)title; method in the OBDialogBuilderStub so that a button press is triggered and the proper block is executed. Nice: the Facade pattern. Thanks for sharing! Hey, thanks for the article but only one question, is it really need to tests UIAlertControllers ? I mean maybe it is enough to test a method calls UIAlertControllers code, isn’t it? That’s basically what I’m doing. My custom mock tests how calls are made to UIAlertController, without actually executing them. What is a clean way to test an alert controller with the style of UIAlertControllerStyleActionSheet on a universal app, that when on an iPad needs a style of UIAlertControllerStyleAlert. Currently I had to put logic in my tests, which seems wrong. My test look something like this. I should note that I am converting to this QCOMockAlertVerifier to clean up some of the property injection of classes. Yeah, that’s really two different tests. What you want is a way to control the UI idiom in tests. For example, you could pass it as a parameter. Then have one test for pad, another for phone.